Making time for self-improvement is one of those items we'd all love to accommodate. But let's be honest. Sometimes it just doesn't happen with our busy schedules. Still, continuous learning is something to strive for in this digital, ever-evolving world. Sure, we can learn "on the job." But it's safe to say that the most effective learning happens when it's self-motivated and self-guided. Enter self-help books. In an effort to adopt new habits to streamline my life and achieve greater success, I started implementing self-help books into my nighttime routine. And at the risk of sounding cliché, they have seriously changed my life. These self-improvement books have transformed the way I organize my time, approach my career, advance new skills, and ultimately value myself. Thousands of books have emerged out of our desire to live happier, healthier, and more successful lives. So I've distilled these down into the best self-help books I've read. Read on to to kick off your self-help journey, explore new passions, and resume control of your life and your future. This may be the most widely-known self-help book on my list. Tim Ferriss has become a wildly popular author, speaker, and podcaster. And it's no wonder! This book is a special one because every reader gleans something different from it. 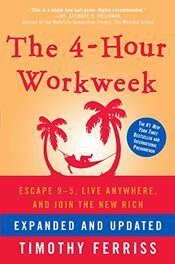 The 4-Hour Workweek changed the way I organize my time and made me consider creative ways to make money. Ferriss's philosophy of designing a lifestyle for today rather than deferring it for later has driven his success. That idea certainly hit home for me. Why should we wait until retirement to relax, travel, and enjoy our lives? Instead, we should take "mini-retirements" while we're young and adventurous. Ferriss challenges the nine-to-five job in favor of focused, productive hours on YOUR terms. This might seem far-fetched to the person with a desk and a boss. I'll admit, I was skeptical. But Ferriss shares actionable steps to show your boss that a remote work arrangement is viable. If you have an entrepreneurial itch, Ferriss also shares tangible ways to make money with minimal risk. And no, you don't have to innovate a new product or the latest app. Anyone can do it. Ok y'all, this is a nerdy one. But I promise, it's good! Sprint was written by a designer at Google Ventures who developed a process to solve critical business questions in just five days. 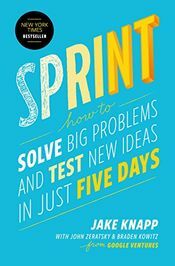 The book shows how different companies used the Sprint process to solve real problems. Blue Bottle Coffee ran a Sprint to translate the brand's image into its website. In five days, Savioke refined and prototyped a robot to deliver amenities to hotel guests. Flatiron Health ran a Sprint to unite cancer patients with clinical trials. But the five-day Sprint is not just for startup businesses. You can use the process to solve problems in your own business or personal life, whether you have a team or work alone. No matter your career path, I promise you'll gain something valuable from this book. 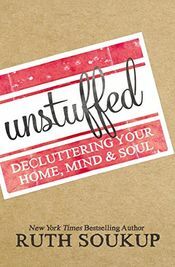 What better time to read a book about decluttering than in the middle of spring cleaning season? Ruth Soukup is a renowned author and blogger, and I recommend this book to all my friends. Throughout our lives, we accumulate so much STUFF. Clutter is not only irritating, but it's counterproductive. Research shows that we accomplish far more when we work in a clean, organized space. Here's one of my favorite tips from the book. Place a decorative basket or bin in a corner of your home. This becomes a collection zone, where you'll place stray items: shoes, toys, hats, books, etc. Before bed each night, spend five minutes putting everything in its place. This will keep clutter out of your living space during the day and ensure everything is back where it should be at night. Ruth is a wizard, and her tips will truly help you reset your home, mind and soul. I am an introvert. Along with one-third of the population. For those of you who know me, it's no surprise that I have to recharge after spending time with groups of people. Socializing in almost any respect drains my energy. Growing up, I was taught that any combination of shy, introverted, or socially anxious was a fault. I wished I could be like my outgoing friends who surrounded themselves with people effortlessly. I'm sure some of my fellow introverts have had similar experiences. 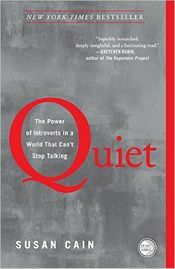 In this book, Susan Cain accuses our society of idealizing extroverts. She maintains that our culture misunderstands and undervalues introverts, which is detrimental to progress and innovation. This book urged me to appreciate how powerful I can be as an introverted person in an extroverted world. We all write. Even Beyoncé writes. Whether you write songs, memos, e-mails, or blogs, this book will teach you to write well. Rather than focus on tedious grammar rules, William Zinsser trains you to declutter your sentences. I'll be the first to admit that I inflate text with excessive adjectives and adverbs. In reality, readers have short attention spans. They prefer to digest simple sentence structures with compelling action verbs. 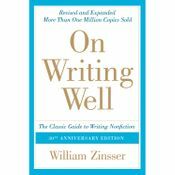 According to Zinsser, "the secret of good writing is to strip every sentence to its cleanest components. Every word that serves no function, every long word that could be a short word, every adverb that carries the same meaning that's already in the verb...these are the thousand and one adulterants that weaken the strength of a sentence." On Writing Well conditioned me to scrutinize each word, simplify my style, and effectively deliver my message. Where do you turn when you need an answer to a question? A restaurant recommendation? Literally any piece of information in the world? You Google it, right? Search engines have become a security blanket as our society craves instant information. Turning up in a Google search is the most effective way to grow an audience. In fact, businesses can't survive without an online presence anymore. That was a long ramble to introduce search engine optimization, or SEO. SEO is the practice of building an audience by appearing at the top of Internet search results. Naturally, this is an important skill for a marketer, developer, blogger or business owner. 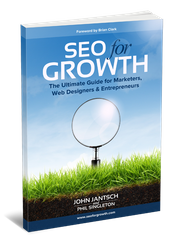 SEO for Growth is one of many books I've buried myself in as I climb the learning curve. But I particularly enjoyed this one because it laid the groundwork before diving into actionable steps. It didn't just assume that I knew the technical jargon. The book explains how search engine algorithms work and how Google digests text, images, videos and other content. Next, SEO for Growth suggests ways to improve search rankings, including keyword research. If you want to rank for specific keywords, you need to know what consumers are actually searching for. One year ago, I couldn't have told you what SEO meant. Thanks to this book and others like it, I am continuing to learn SEO tips to make ModMoney a success. 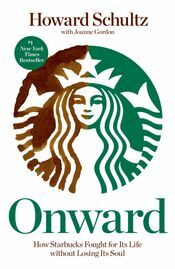 Onward tells the story of how CEO Howard Schultz turned Starbucks around in 2008, restoring the coffee company to its once dominant position. Schultz's visionary leadership and ability to return the company to its core values is an inspiring success story. Apparently I can't get enough of writing guides these days! On Writing Well was a transformative read. 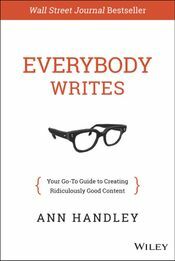 But Ann Handley's writing tips have greatly impacted how I write as well. Handley is the world's first Chief Content Officer and was cited by Forbes as the most influential woman in social media and recognized as a top 20 female blogger. Talk about a #girlboss. We live in a world distracted by texts, social media, e-mails, calls and the Internet. When was the last time you worked hours straight without any distraction? Those stretches are pretty rare these days. 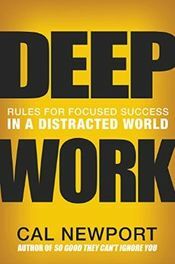 In Deep Work, Cal Newport discusses how effective we are when we focus our brains on deep thought. He pushes the importance of undisturbed time for cognitively demanding work. Continuous learning is a valuable tool that keeps our skills relevant. This is important in today's digital age where technology disrupts the way we do business. As a result, young professionals have to adapt. 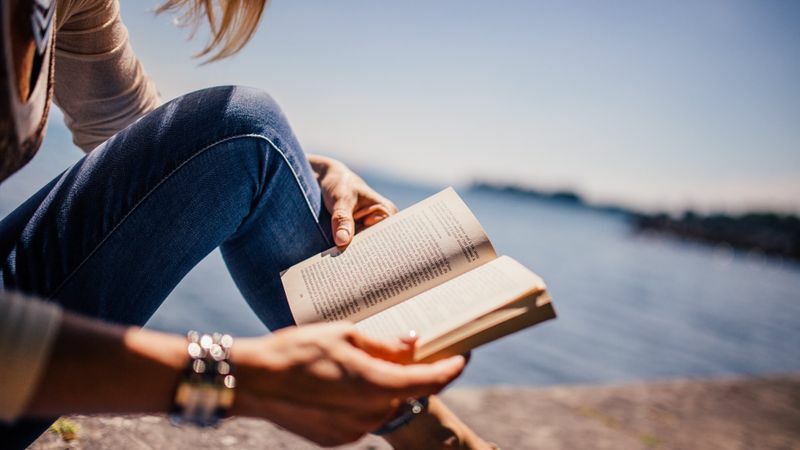 Self-improvement books are helpful, but how else can we stay up to speed? For most of us, it's impractical and expensive to go back to school or take classes on the side. Thankfully, there are other options. Education-focused technology companies like Coursera and Udemy make continuous learning affordable and accessible. Here's a breakdown of what these companies offer. Coursera partners with top universities to offer 1,000+ online courses. Whether you want to learn new skills or sharpen old ones, Coursera is sure to have a course offering for you. Most courses are free, but you can pay a small fee for certificate programs. 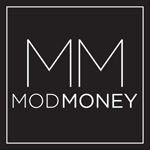 Before I started ModMoney, I took a couple courses on coding and SEO, and I loved the experience. Similar to Coursera, Udemy is a platform that offers online courses. The difference is that any expert can create a course on Udemy, leading to a wider breadth of topics. Coursera's classes are led by top institutions and therefore offer more collegiate-style coursework. I recommend checking out both options and choosing the best one based on your needs. There must be something in the millennial drinking water. We're seeing a noticeable shift toward a culture of continuous learners. Most of us don't have the time or desire to enroll in night classes or full-time programs, but there are other ways to teach ourselves new tricks. Whether we want to learn finance, data science or cryptography, self-help books and online courses can get us there. As I work through my reading list, I'm always looking for recommendations. What are your favorite self-help books?